In December 2018 we went on a day's tour to Goa. On the first day of our visit we spent the evening at Candolim beach to watch the sunset at Arabian Sea. Being a nature-lover I enjoy watching the beauties of nature. The next day we went to spend sometime in the morning at Sinquerim beach which is one of the best beaches of Goa. Sinquerim Beach is a beautiful beach in Goa which is located in North Goa and is at a distance of 13 Km from Panaji (Panjim) - the capital city of Goa. 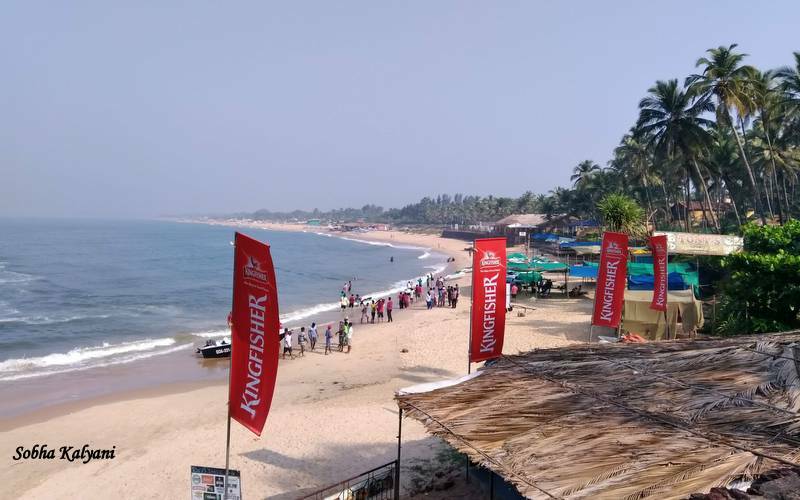 The beach lies to the south of the famous beaches like Candolim beach, Calangute beach and Baga beach and is adjacent to Aguada beach. 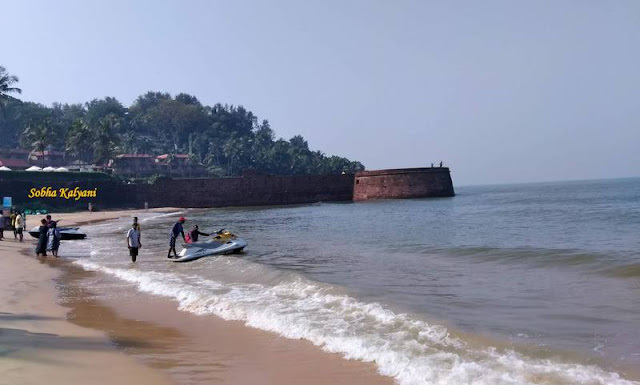 The view of the lower Aguada fort (Sinquerim fort) from the sands enhances the beauty of the location. The rampart of the fort projects into the gorgeous sea and bisects the shoreline into two parts. 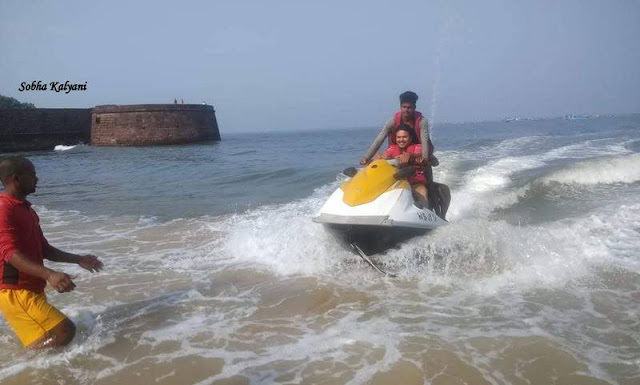 Sinquerim beach is a paradise for the adventure / sport lovers. It offers a variety of water sports / activities like banana ride, wind-surfing, scuba diving, water scooter ride, fishing, water-skiing, para-sailing and many more. 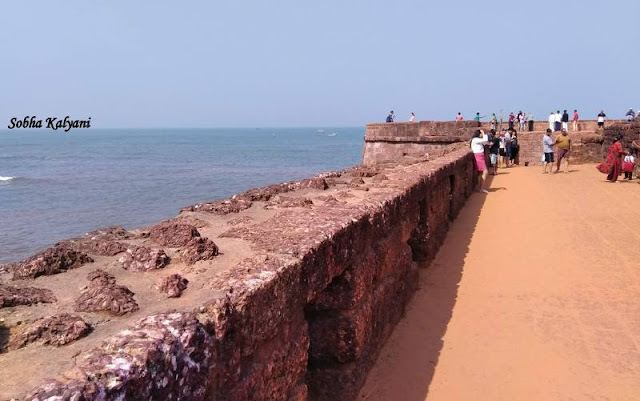 After enjoy water activities tourists walk to the lower Aguada fort and enjoy the panoramic view of Arabian Sea from the fort. There are many tourist resorts, restaurants and hotels near Sinquerim beach. We spent much time at this beach enjoying the beauty of the location. After spending some time in the morning at Sinquerim beach we returned to our room for lunch. 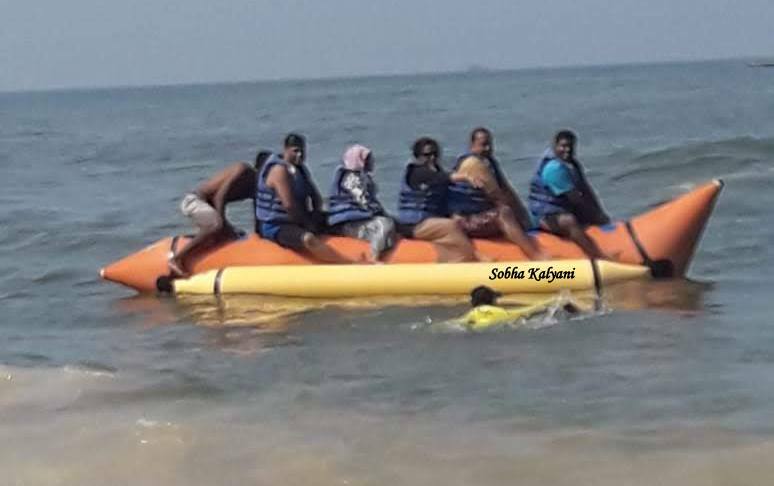 I still cherish the memories of our visit to this beautiful beach of Goa. Sinquerim beach is one of the best beaches that I have ever seen.